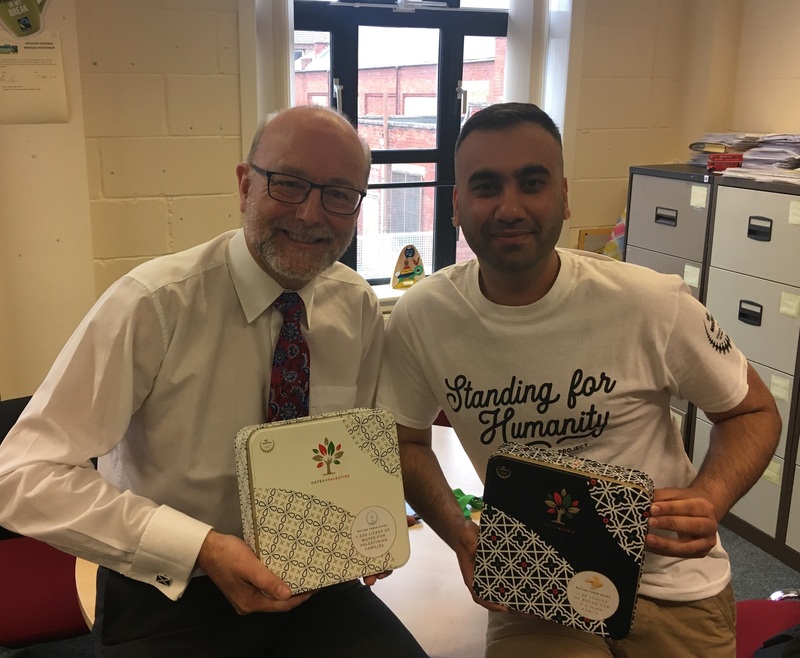 Stockton North MP, Alex Cunningham, is supporting The Date Project – and has commended the work of local volunteers such as Azhar Anwar in his constituency, for their work in raising much needed funds for causes such as providing bread for Syrian families, clean water for Palestinians, and access to eye-care for Pakistanis. The Date Project was established in 2015 by SKT Welfare volunteers in Bradford. Their idea was simple – the raise funds for the Al-Huda Bakery in Syria by selling boxes of medjool dates during Ramadan. In 2016, a staggering 3.5 million loaves of bread had been produced through the Dates4Syria initiative. In 2017, Dates4Palestine was launched to raise funds for a water desalination plant, and this year, Dates4Pakistan has been set up to support access to eye-care treatment in Pakistan. Azhar Anwar works alongside other five volunteers living in Stockton North, raising awareness of The Date Project and selling dates for these causes. Azhar sold 20 boxes in 2015, increasing his sales to 418 and 800 in 2016 and 2017, respectively. His orders this year has risen to 1500. Volunteering for the Date Project has been a great experience. We have a fantastic team in Stockton and I love being part of a charity which helps so many people in such sad circumstances. Our orders have increased every year, and I’m lucky to have the chance to be able to meet and chat to the customers in my local area when I do deliveries. I hope more and more people will order the tins of finest medjool dates and this year can be the most successful yet. I’m incredibly proud that Stockton North is home to volunteers such as Azhar. Their relenting enthusiasm and commitment to the Date Project and the causes it helps, is what has propelled the charity’s fundraising efforts to such success, and makes a difference to thousands of lives. I would strongly encourage everyone to support the Date Project, and buy a box of medjool dates for a good cause.